Dr. Hilarie Cranmer is an emergency physician, researcher, and educator working to advance practice standards for humanitarian responders. She has participated in the response to major humanitarian disasters, serving in the field during the 2004 tsunami in Indonesia, the 2010 earthquake in Haiti, and hurricanes Katrina and Rita in the U.S. She was the Technical Advisor on Ebola for International Medical Corps during the 2014-2015 Ebola outbreak in West Africa. As Incident Commander her teams deployed to the Philippines for Typhoon Haiyan in 2013 and the Nepal Earthquake in 2015. As the founding director of education and humanitarian studies at the Harvard Humanitarian Initiative, Dr. Cranmer designed an innovative training program that culminates in a simulated disaster field experience as well as founded the global women's health fellowship housed at Brigham and Women's Hospital. She is also the first director of global disaster response at Massachusetts General Hospital’s (MGH) Center for Global Health and serves as vice-chairman and secretary of the World Association of Disaster and Emergency Medicine. Cranmer is an Associate professor at the Harvard Medical School, Department of Emergency Medicine and also at the Harvard T.H. Chan School of Public Health, in the Department of Global Health and Population. 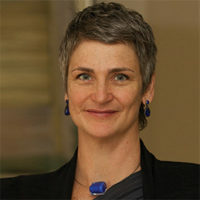 Dr. Cranmer continues to practice emergency medicine as clinical faculty in the Department of Emergency Medicine at MGH.She has recently been recognized by her work with the 2015 Institute for International Medicines’ Humanitarian Crises Response Award and the 2015 Harvard TH Chan School of Public Health Alumni Award of Merit, its highest honor annually bestowed.